March Wordless Wednesday Link Up: Story Time? 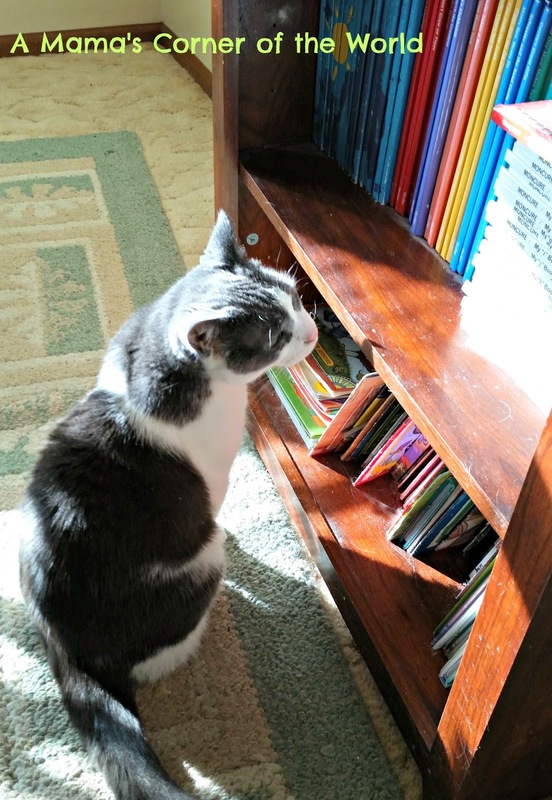 Sometimes the cats living in our little corner of the world make me wonder.....I'm not sure exactly what Gina the Cat was doing or thinking as she sat staring at the little girls' old picture books....But, it made us smile--so we thought we would share it for this week's Wordless Wednesday linkup! Knowing Gina's personality--she was probably calculating the disproportionate number of books about dogs to the books about cats.....and plotting to shred them. Ready to Share your Latest Wordless Wednesday Posts? Good morning, kitty looks to be getting some sun while trolling for a book. I found your post on G+ and dashed over. LOL too funny about the shredding. Aww. I LOVE this pic! !